"With eight wins from their last nine matches in all competitions, Manchester United head to the King Power Stadium full of confidence." Leicester's baffling inconsistency was evident once again on Wednesday night after claiming a 1-1 draw at Premier League leaders Liverpool. City have proved much better against the top teams this season with a home victory over champions Manchester City and a win at Chelsea. Claude Puel has come under pressure from supporters with his side struggling to reproduce this form against teams they are expected to beat. The Foxes were dumped out of the FA Cup at Newport County and were recently beaten by Cardiff and Southampton. Leicester are comfortable enough in 11th place but their fluctuating form has certainly not helped Puel's popularity. Manchester United looked in complete disarray during the middle of this season but the dismissal of Jose Mourinho has paid off. 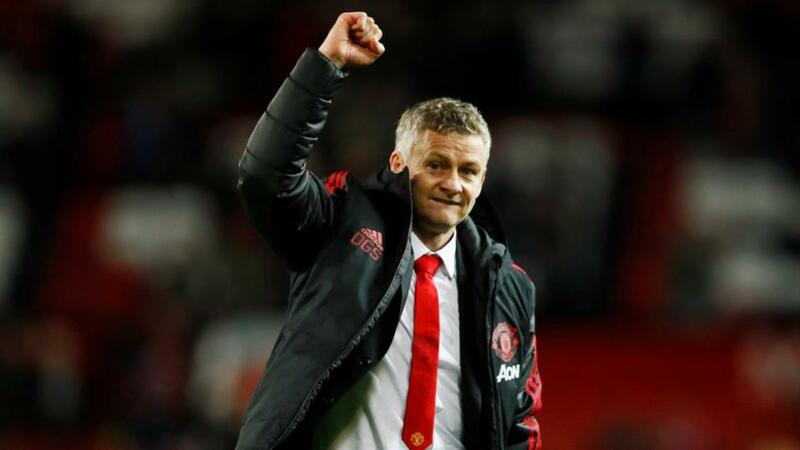 Ole Gunnar Solskjaer was handed the reins temporarily until the end of the season and his arrival has sparked a dramatic upturn in their fortunes which could lead to him being given the role permanently. Solskjaer has thrown off the shackles and given United's players the freedom to play. Paul Pogba is the biggest example of the turnaround with the France midfielder looking a completely different proposition with the licence to attack at will. United won their first eight matches under Solskjaer, including victories at Tottenham and at Arsenal in the FA Cup, although the run ended on Tuesday after a 2-2 draw at home to Burnley. Man United are the [2.16] favourites and this looks a bet well worth taking. With eight wins from their last nine matches in all competitions, the visitors head to the King Power Stadium full of confidence. United have won 16 of their last 20 games against Leicester and this looks a great opportunity to back them at appealing odds to claim another victory. The hosts are [3.85] for the win and may have some takers because their form against the better teams in the league has been strong. Man City have already been turned over here this season although it has to be added Leicester have only managed to win one of the last 12 home league games against United. The draw can be backed at [3.55] although United's stalemate against Burnley was their first for 12 matches. Leicester have also only drawn one of their last nine league games. The most likely outcome looks a United win and their odds are certainly big enough to warrant a bet. Man United's matches have not been short of goals recently and 13 of their last 14 games have seen at least two scored. The last ten clashes between United and Leicester have also all produced at least two goals. Using Betfair's Same Game Multi, an away win with over 1.5 goals inflates the odds to 2.43 which is well worth considering. Juan Mata has scored four goals and assisted two more in his last five Premier League appearances against Leicester, scoring in each of his last two games at the King Power. Mata is 7/2 to score again this weekend.